The world’s largest blind-tasted food awards Great Taste, has just released news of further winners from this year judging round. Following on from the 3 gold stars that The Coconut Kitchen’s Easy Thai Green Curry Paste won on August 11th this product was put forward for even more scrutiny from 40 high profile food experts and they agreed it deserved a place among the Top 50 products of 2014. Judged by over 400 of the most demanding palates belonging to food critics, chefs, cooks, members of the Women’s Institute, farmers and a host of food writers and journalists, Great Taste is widely acknowledged as the most respected food accreditation scheme for artisan and speciality food producers. When a product wears a Great Taste label it carries a badge of honour but more importantly, the Great Taste logo is a signpost to a wonderful tasting product – and hundreds of judges have worked hard to discover the very best through hours and hours of blind-tasting. “We’re truly very proud of this accolade after already getting the 3 stars, being in the Top 50 is something else”, explains Sales Director and Paul Withington. 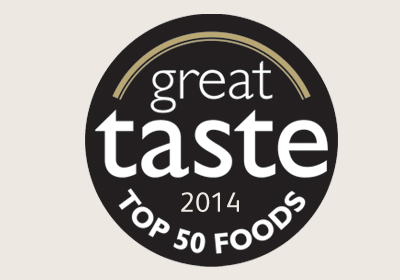 This year a massive 10,000 products entered into Great Taste and of those products, 153 have been awarded 3-star. A panel of supremely talented judges including; Masterchef judge and restaurant critic Charles Champion, BBC Food Programme presenter Sheila Dillon, Great British Bake Off winner Frances Quinn, MasterChef 2013 Natalie Coleman, food buyers from Harrods, Fortnum & Mason, Selfridges, Harvey Nichols and Whole Food Markets, and chefs including Michelin Star chef Russell Brown have together re-judged and tasted yet again the 3-star winners to finally agree on the 2014 Top 50 Foods, the Golden Fork Trophy winners as well as the new 2014 Supreme Champion. Finally on Monday, 8 September, at a nail-biting Awards’ Dinner at the Royal Garden Hotel, London, the great and the good from the world of fine food will gather to hear who has won the Golden Fork Awards and the final applause will be reserved for the Great Taste Supreme Champion 2014.